Powerstep Orthotic Insoles are touted as the “Podiatrist’s Prescription for Pain Relief” as thousands of podiatrists recommend Powerstep orthotics to their patients to control foot pronation. Pronation is turning of the sole of the foot outward so that the inner edge of the foot bears the weight when standing. Excessive pronation does not allow the foot to supinate (land flat) and stabilize its movement, creating many foot problems. Overstretching of the fibrous plantar aponeurosis more commonly know as the plantar fascia. Heel spurs are related, but not the same ailment; they may or may not denote heel pain. Tailor bunion is the same condition adjacent to the little toe. Caused by improper footwear, bio-mechanical imbalances or injury. May cause ulcerations in diabetics due to neuropathy or loss of feeling. Powerstep Orthotics were designed by a podiatrist to relieve and prevent foot pain related to all of the above conditions. Powerstep’s supportive yet flexible orthotics are perfect for most people, and can be worn in all kinds of footwear for all sorts of uses / activities. Strong but flexible prescription-like plastic foot supports calibrated to provide both comfort & stability. Heat & slip reducing anti-microbial fabric top cover for dryness. Heel cradle & platform to stabilize & protect the heel during landing. Designed to provide immediate relief of arch, heel, ankle, knee, & lower back pain. Multiple style selections for a variety of shoe & foot types. Great pricing – much more affordable than prescription orthotics. Combination of cushioning, spring, & support virtually eliminates any “break-in” period. The Orthotic Shop is dedicated to providing a solid foundation for the body which is why we offer Powerstep Orthotic Insoles with free fast shipping. They are also backed by a 30-day money back guarantee. If you don’t like them for any reason, simply mail them to the address on the box with your invoice and you will receive a full refund! 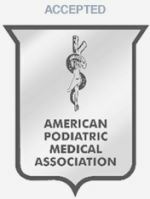 Powerstep Arch Supports were awarded the APMA (American Podiatric Seal of Acceptance) in 2010. Award of the seal means that a committee of experts scientifically evaluated & determined whether the product allows normal foot function and promotes quality foot health.